Nicholas Hickman is the General Manager/Owner at SERVPRO of North Oklahoma City. Nicholas grew up and still lives in North Oklahoma City. Nicholas is married to his loving wife Laurin and the father of three young children. He volunteers in the community by coaching soccer and leading Scout activities. A graduate of Oklahoma State University he has worked in construction, rental property management, banking and non profit before venturing out to work for himself. Nicholas has earned Water Removal Technician certification from the Institute of Inspection Cleaning and Restoration Certification. Nicholas is also certified in Lead Removal and Remediation. In addition, he completed a course helping to identify subrogation for insurance claims. Laurin Hickman is the Marketing Manager/Owner at SERVPRO of North Oklahoma City. Laurin is married to Nicholas and the mother of three young children. Laurin grew up in Edmond and graduated from Oklahoma State University. She lives in North Oklahoma City. Laurin was a long time teacher in Oklahoma City and has a passion for helping others. 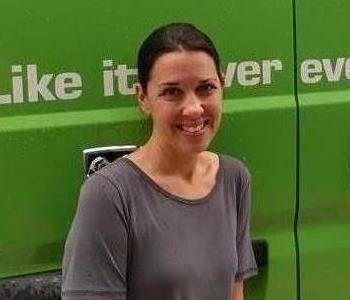 Laurin enjoys connecting with local businesses and insurance agents as she promotes SERVPRO of North Oklahoma City's services. 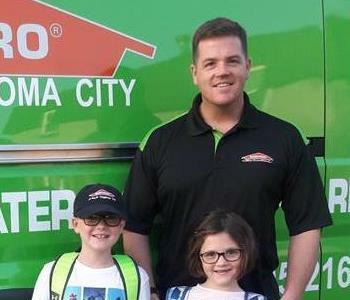 David Hickman is a SERVPRO Marketing Representative at SERVPRO of North Oklahoma City. David is a graduate of the University of Oklahoma. He has spent many years in outside sales. He has the following certifications from the Institute of Inspection Cleaning and Restoration Certification (IICRC): Water Removal Technician. 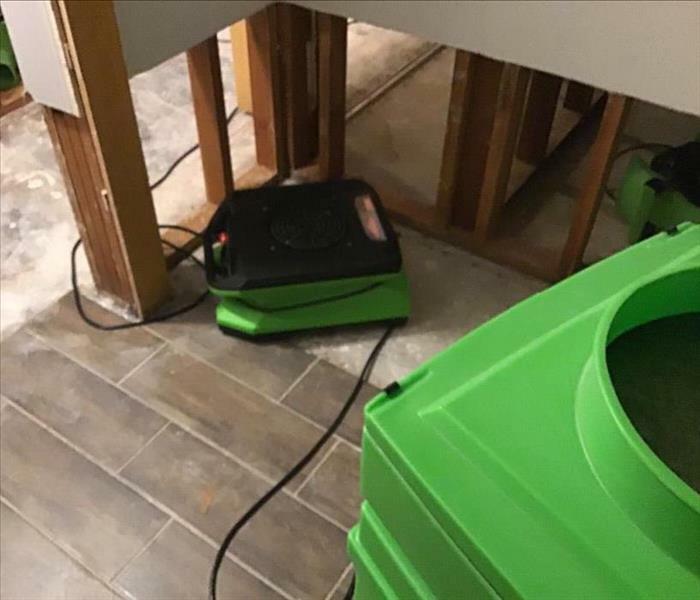 Britt Ritchie is the Production Technician at SERVPRO of North Oklahoma City. Britt has lots of experience in the fire and water restoration industry. She has the following certifications from the Institute of inspection Cleaning and Restoration (IICRC): Water Removal Technician and Fire and Smoke Restoration Technician.